This easy remoulade sauce recipe is a French condiment that makes for the perfect accompaniment to seafood dishes as well as simple chicken dishes too. In the United States, you’ll often find Louisiana remoulade (rather than French remoulade) on restaurant menus, which is just remoulade dressing that’s made with some Cajun flair. 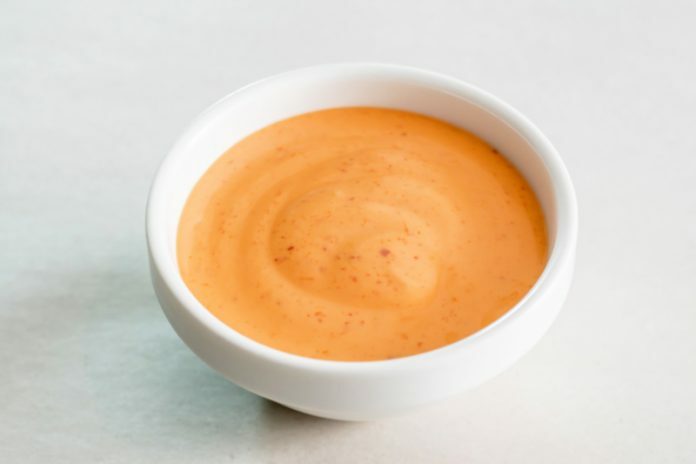 This sort of Cajun remoulade sauce incorporates mustard, paprika, garlic, and Cajun seasoning. You can whip up this remoulade recipe to help you create shrimp remoulade (a tasty entrée or appetizer), or you can make remoulade sauce for crab cakes. Both options are incredibly delicious and pair beautifully with the sauce. You can easily make this remoulade sauce recipe ahead of time and store in the fridge. Simply whisk all the ingredients together in a bowl, cover with a sheet of plastic wrap, and store in the fridge until you’re ready to serve the sauce or incorporate it into your meal. Add all of the ingredients to a medium bowl, then use a whisk to combine and create a well-blended sauce. Cover the bowl with a sheet of plastic wrap and refrigerate until ready to use.